Scott Drickey is a twenty-year seasoned photography professional with a strict technical background that began at the Brooks Institute in Santa Barbara, CA. This training propelled him into the start of a storied career, working alongside some of the world’s most notable photographers as an on-camera first assistant/lighting gaffer all over the World. 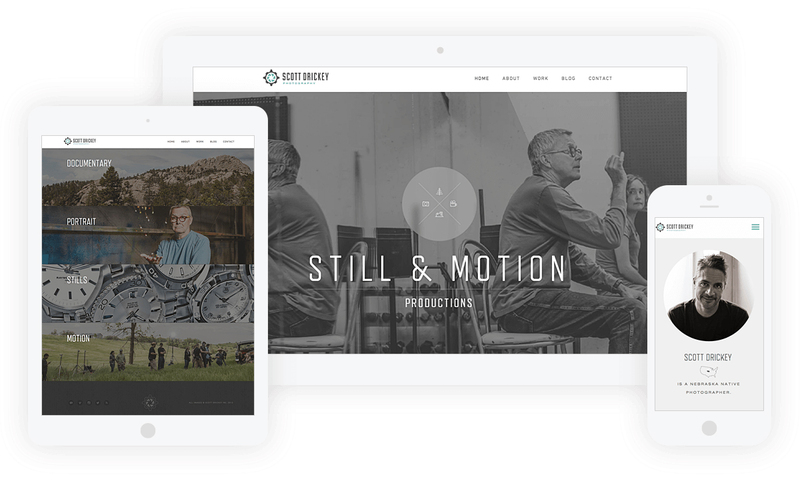 Scott Drickey contacted me with a preset plan: create a site that appealed to everyone, the site could easily be viewed on virtually every device, it would clearly showcase his work, and would incorporate a style that reflected his appreciation for design.